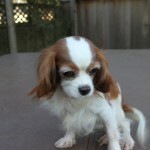 Sometimes Cavaliers need a new home because they are no longer wanted or their owners are no longer able to keep them. Adopting an adult cavalier, especially one that has been a breeding dog in a puppy farm, can be incredibly rewarding but new owners need to be aware their new pet can sometimes come with health and behaviour problems that may demand a great deal of understanding and patience. 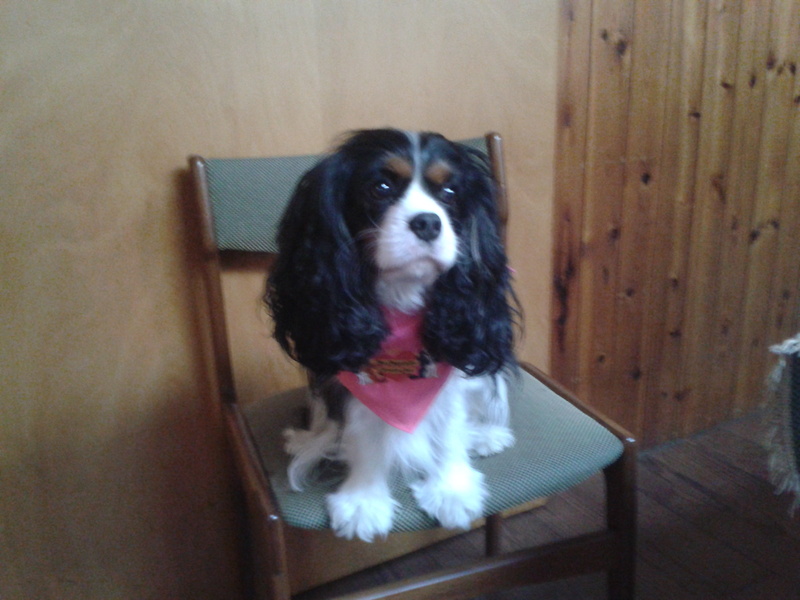 The Companion Cavalier Club does not run a rescue or rehoming service but those wanting to adopt an older cavalier or seeking help with finding a new home for their pet will find links to the regional cavalier rescue & welfare services here. 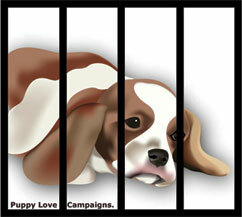 There are many rescue centres that take in all breeds of dogs. 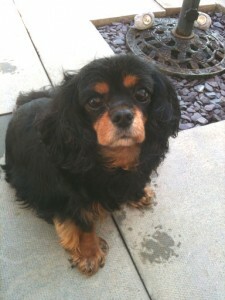 They often have cavaliers that need re-homing. 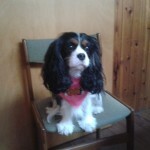 Dotty is an ex “puppy farmed” Cavalier. She lived in harsh and squalid conditions and was due to be destroyed. Mercifully she was saved by a rescue organisation. She had never lived in a home, walked on a lead, been in a car, met people, seen a vacuum cleaner or TV, heard a door bell, seen a plane, heard fireworks. All these normal, day to day experiences meant she was more terrified than you could ever imagine. Every day brought its own new challenge. Sudden movements and sounds frightening to her often leading to a flight for cover shaking with fear. Doorways was a big problem, taking almost a year to overcome; even now she has moments where she pulls back and we have to back away from the doorway for her to feel safe entering. Often one step forward and two steps back, the small victories made it all worthwhile. The first moment she made eye contact, the first time she sought affection, the first time she learned that the car took her to fun places, it’s hard to believe that Dotty was once a petrified little soul. She has made so much progress since that first night in our, her, home. Now we have loads of cuddles and tummy tickles; she dances with excitement and expectation at meal times, bouncing like a puppy. 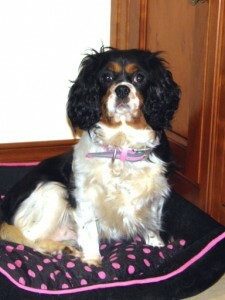 She has developed into a loving, playful, sweet little dog and a gorgeous pet. It has taken two years to get to this point. She is totally besotted with my husband Graham and follows him everywhere. The expression on her face when she looks into his eyes is more heart warming than you can ever imagine. Two years ago, My mum and I decided it was the time to adopt a dog. 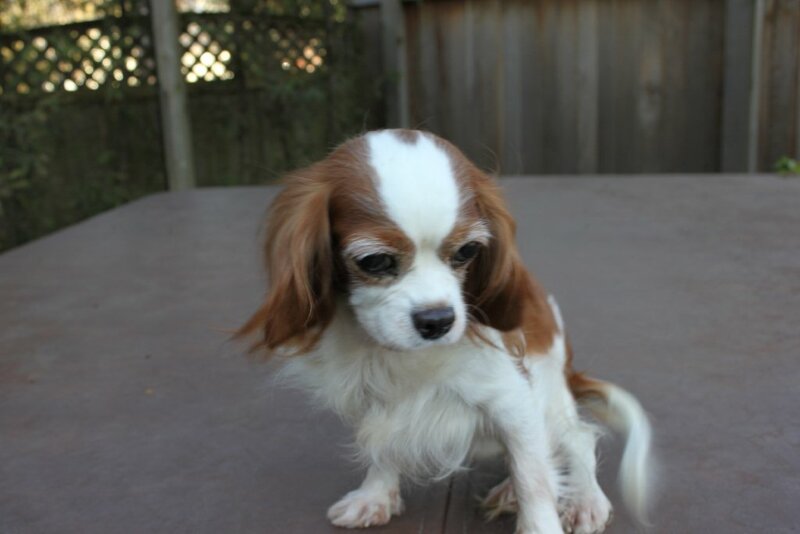 We had always loved the look of Cavaliers, and decided the breed was for us. We searched rescue places all over and eventually found a beautiful black and tan boy – who was saved from a puppy farm in Ireland and brought over to the UK, the rescue aged him at about 5, as he had to have all his teeth taken out due to them being rotten, the vets could not tell his age. His fur was extremely matted, he hid his tail and he was so, so sad.. the only dog who did not jump up and bark at the rescue centre. We were told he had a grade 3 murmur but still decided yes. It wasn’t till after we bought Murphy home I researched and found out about the breed and all the genetic health problems, Murphy is around 7 now and has a grade 5 murmur and is under a trial and receives cardiologist care every 4 months, and also has severe dry eye which requires ointment every 2-3 hours to keep moist. As Murphy came from a puppy farm he has not been socialised – he doesn’t play with toys, he is scared of them. He also has no training as he is older and doesn’t understand – but I wouldn’t change this as he is good as gold. Murphy is really good now, he’s housetrained and gives us much enjoyment – he is in a good place now, his “retirement” home as I call it. If I could, I would do it all again, it is so rewarding to see the progress he has made over 2 years.